Kids will have fun with this printable 4th of July worksheet. 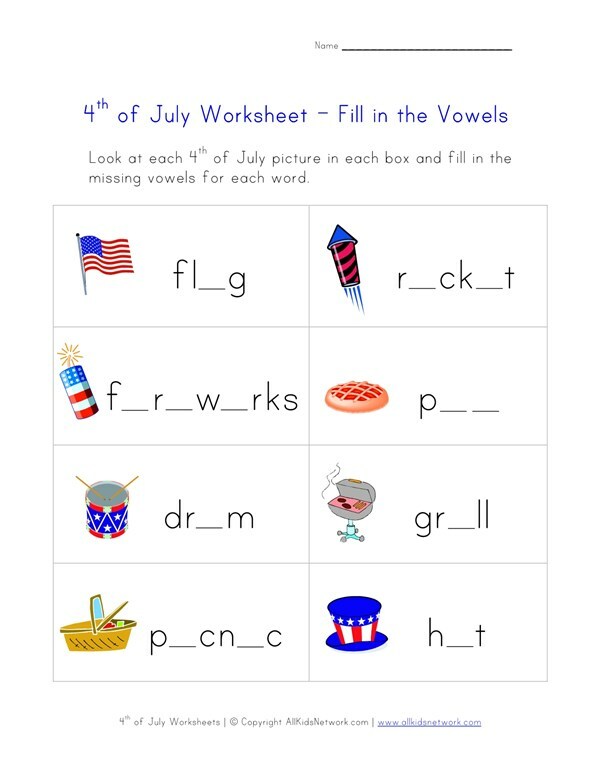 This worksheet asks kids to fill in the missing vowels of each of the 4th of July words. Kids can look at the 4th of July pictures to know what the word is and then fill in the missing vowels. This printable is a good early spelling worksheet with a 4th of July theme which is perfect for this fun holiday.